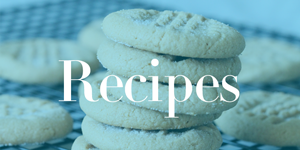 Home / Savings Blog Posts / Holidays / Christmas Recipes / Chocolate Chip Pie Recipe! This Chocolate Chip Pie Recipe is the Perfect Holiday Dessert for Thanksgiving or Christmas! Skip the Traditional Pecan Pie for this new family favorite! I am obsessed with finding NEW Holiday Recipes that you can enjoy with your friends and family! I know that this Chocolate Chip Pie Recipe is going to be a HUGE hit for your crowd! Nothing says “holidays” more than getting in the kitchen and baking your favorite holiday treats and goodies! Every year I try to get some new recipes to add to our traditional favorites! My kids LOVE this time of year and so does my Hubby! Most of the time he ends up taking the leftovers to his office and sharing with his co-workers! If you are looking for more holiday desserts and ideas, here are some of our other favorite Holiday Recipes for you to try too! In a large mixing bowl add the eggs and beat on high speed until they are light and foamy. Add in softened butter and mix again. Place batter into the pie crust and bake at 325 degrees for 50-60 minutes! Serve with your favorite Vanilla Ice Cream! I hope that you enjoy this recipe as much as we do! If you are heading to holiday parties or special events or occasions for Thanksgiving and Christmas, this is the PERFECT Dessert to take with you! I mean, just look at the goodness of the pecans and chocolate chips all mixed together perfectly! Top it off with some vanilla ice cream and chocolate syrup for an added touch! WOW!! I don’t know about you, but this is making my mouth water and I’m ready to head to the kitchen to start baking! Mmmm!! Enjoy! Plus, be sure to try this Peppermint White Chocolate Cookies Recipe! Another holiday favorite that my kids LOVE!! They are SO easy to make and have all of the flavors of the holidays! If you are heading to a cookie exchange or having a holiday bake sale, these are for you!! Another easy, simple recipe for Christmas!